One day short of a full week of school… yay Friday!! 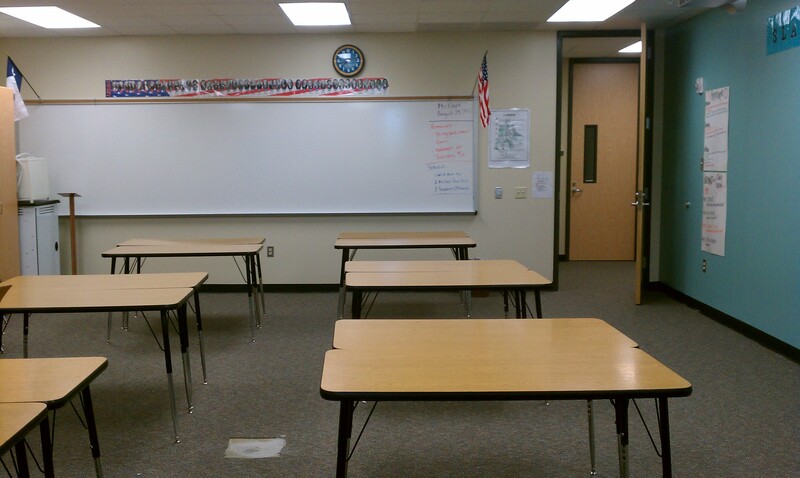 As promised I took pictures of my room at school. Are well-behaved and do their homework!! Then I dated it, and any time I feel down on these kids I’m going to look at it and remind myself that they are COMPLETELY capable of doing the right thing and I just have to be firm and stick with the program. 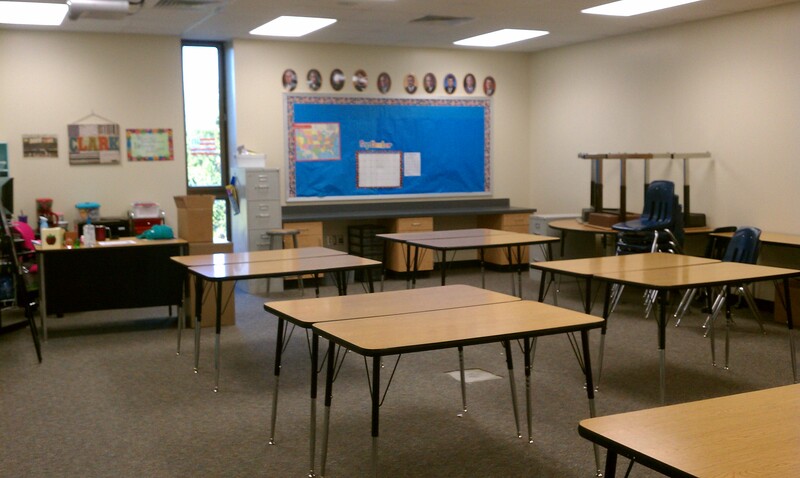 Okay, here are the pictures of my classroom. This is from the door to my classroom. Note the window… there’s a close up later. Note the bulletin board. 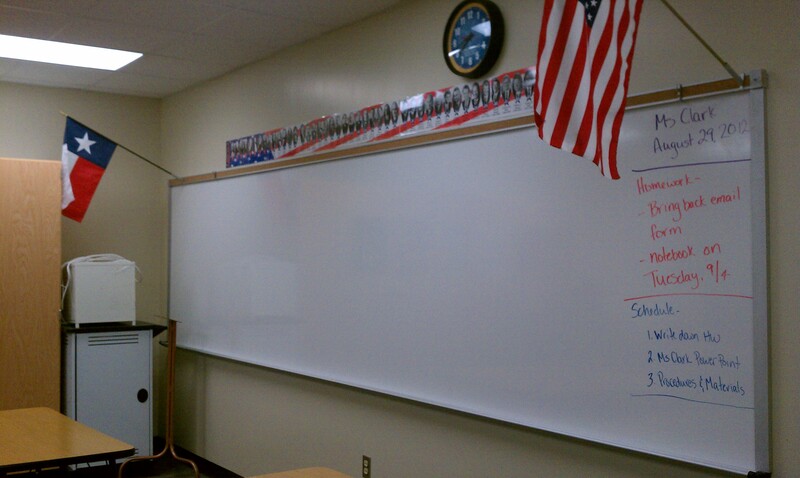 2 boys in my Advisory (homeroom) put the whole thing up! Okay, this is standing at the front of my room. 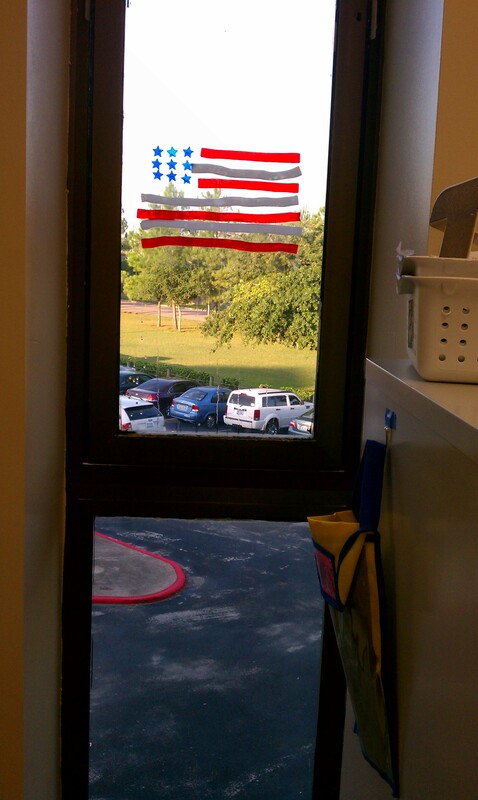 In the picture, the door is just to the right of the American flag. Check out my Homework that like, 90% of my studnets completed!! WOO-HOOOOOO!!! Oh and my presidents board topper! Ohmygosh. My favorite thing EVER! 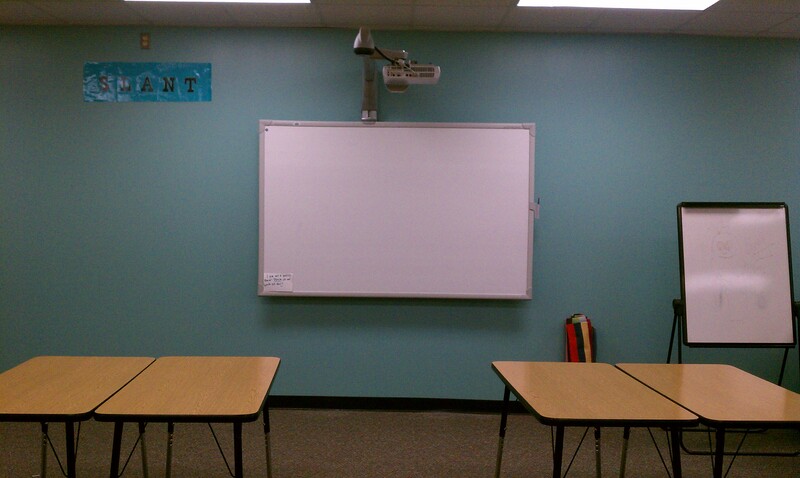 The amazing blue/green/teal wall. It is just so pretty! Also, eventually there are going to be small white boards on either side of my Activboard which is why there is nothing in that empty space. 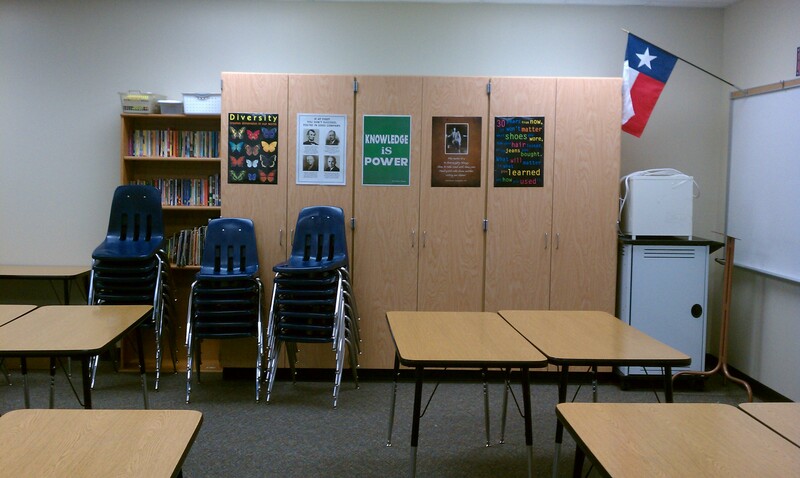 Oh and the perspective is from the back of the room next to the bookcase. My command center. It’s hard to say what my favorite part is…. no it isn’t. It’s the multi-colored drawers next to the mini-fridge. I love them! From my desk, looking out the door. I (try to) run a tight ship. 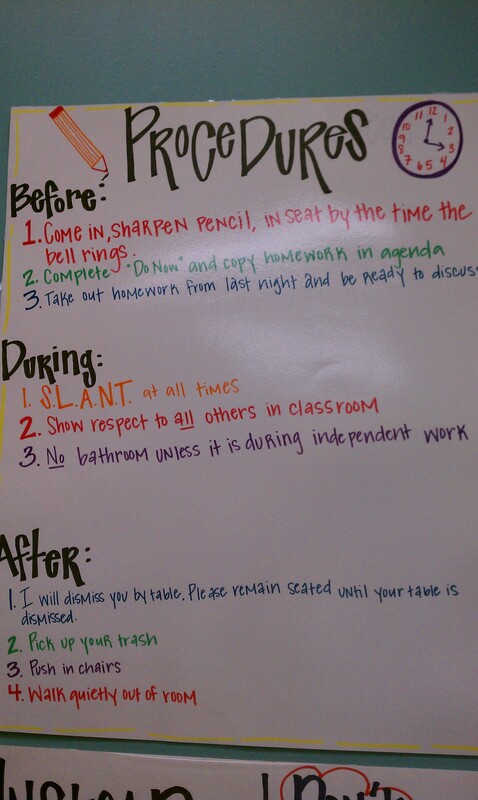 These are my class procedures. Have I mentioned how glad I am that tomorrow is Friday??? AND… bonus!! Monday is a holiday!!! I love those kids. They are awesome! 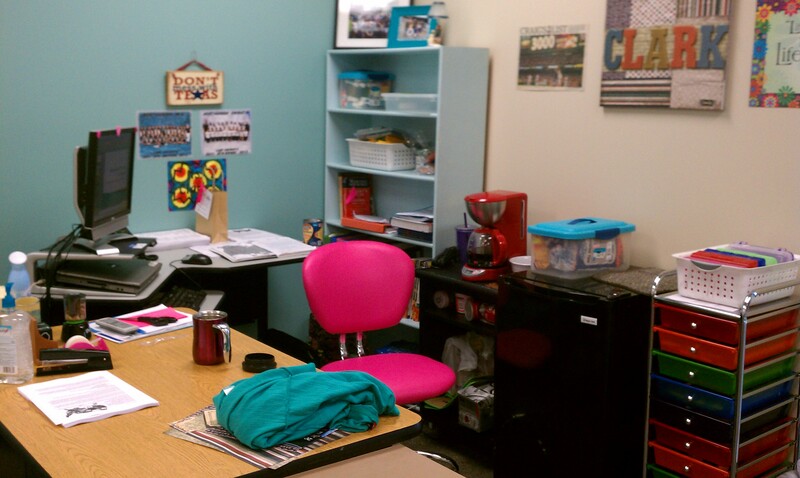 I have to say, though, my favorite part of your command center is your hot pink chair!! I want one!! I miss you so much. Miss you too, friend!!! Yeah, my chair is pretty clutch!! I loooove it too! It was on sale at Michaels during tax free weekend!! I have wanted one ever since I saw lesli’s several years ago. I think that’s why I love it.so much!! !